A long-time Bainbridge Island resident, Neva Welton has been engaged in her local community for many years. Her activities include being the co-founder of SCALLOPS (Sustainable Communities All Over Puget Sound) and Sustainable Bainbridge. 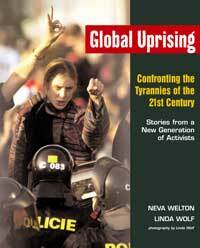 Welton is also co-author of two books. 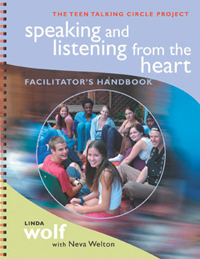 Together with Linda Wolf she wrote Global Uprising, Confronting the Tyrannies of the 21st Century: Stories from a New Generation of Activists (2001) and, a few years later, Speaking and Listening from the Heart: A Facilitators Handbook (2005). 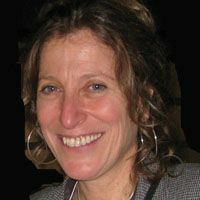 Drawing on her years of experience as executive producer of the 'Conscientious Projector: Films of Hope for the People and the Planet' Welton also wrote the guide Start Your Own Community Film Festival. The guide provides tips on raising money to finance a film festival, as well as organizing and publicizing the event. For more information on Welton go to http://www.teentalkingcircles.org/content/store/store.php.